360 cameras could very well be one of the hot new products of this holiday season. Last year there were only a few decent 360 cameras on the market, but now there are well over a dozen with the best yet to come! It’s not a coincidence that many tech companies are waiting until the end of the year to release their new 360 cameras, just in time for all those holiday shoppers. If you’re waiting for the latest and greatest 360 camera, it might be worth putting it off a few months. There are at least 5 new 360 cameras coming out before Christmas and in my opinion they are among the best ever. Let’s take a look at them now. The Insta360 One created a storm when it was announced in late August. The One is a 4K 360 camera that comes with several features not seen in any other, including a new video feature called “bullet mode” which looks like something out of the Matrix. 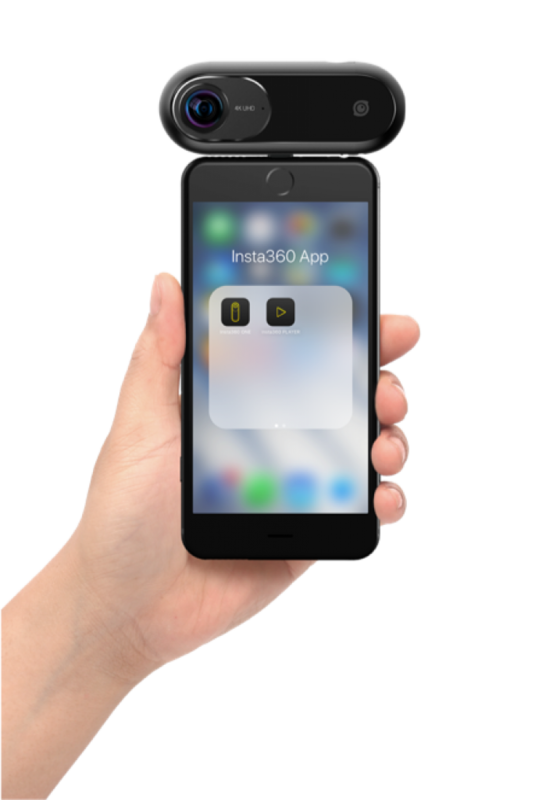 The camera can either be used as an attachment for your phone or completely independently and is compatible with both iPhone’s, iPad’s and Android devices. The Insta360 One is the 4th camera designed by the intrepid company and is packed with almost everything you could want in a 360 camera, including stabilization, high resolution 360 photos, RAW capability and 4K livestreaming. Without doubt this is going to be a best seller, with many in the VR community claiming that the Insta360 One is already the best consumer 360 camera ever. 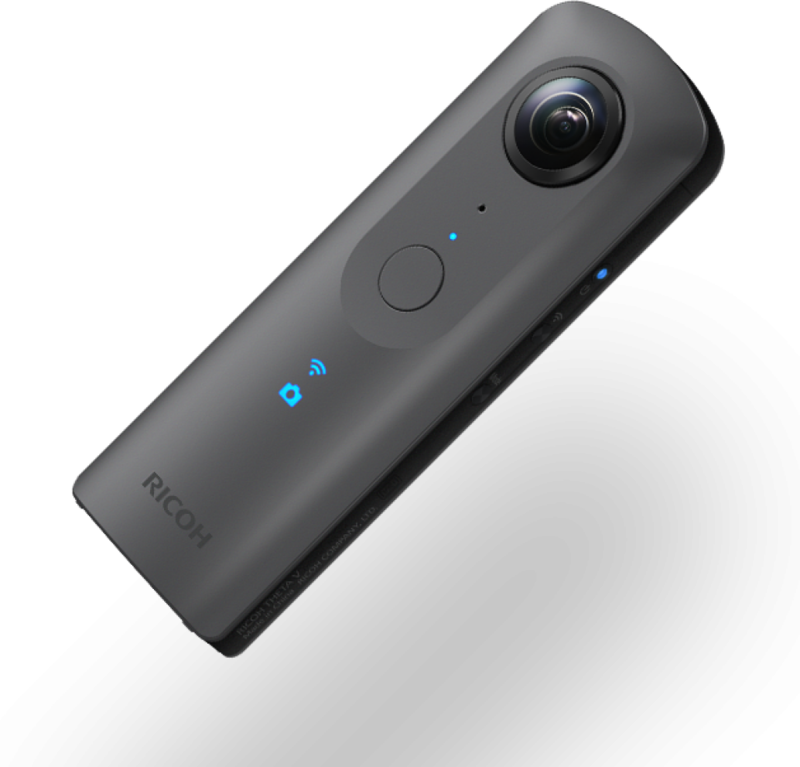 Another exciting new release is the Ricoh Theta V, the follow up to the highly successful Ricoh Theta S. Fans of the Theta S have been waiting a few years for an upgrade and now it’s finally hear, bringing 4K 360 video and advance lens technology to allow creators to shoot high quality 360 content. The Theta V retains the same user friendly design as its predecessor, with one small exception. At the base of the Theta V is a port that will allow you to attach a ambisonic microphone (sold separately) to shoot life like surround sound audio with your 360 video. Even without this extra attachment, the Theta V comes fitted with 4 internal mics for much better audio capture. Ricoh have an excellent reputation for creating high quality, user friendly 360 cameras and by the looks of it they are set to keep this reputation in tact with the Theta V.
Ricoh's long awaited upgrade. 4K video with advanced processor and advanced lens technology. Want a 360 camera that can shoot even higher than 4K resolution? 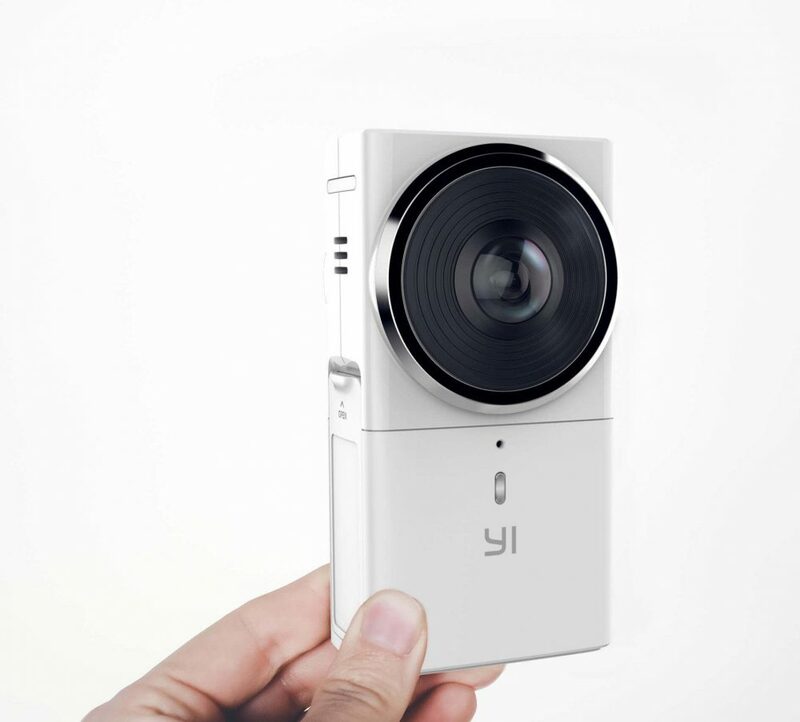 The Yi 360 VR is a long awaited 360 camera that promises to be the first to offer 5.7K 360 video at an affordable price. When it comes to 360 video, the higher the resolution the better, so I’m anticipating the video shot with the Yi 360 VR to be excellent. Already released in some parts of China, the camera won’t be making an appearance in the US and Europe till late 2017, but it could be very popular with professional 360 film makers when it does. 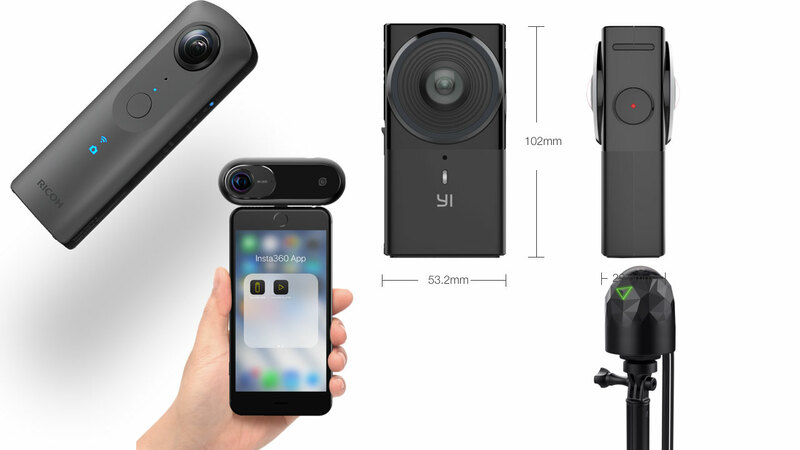 This is one of the most unique 360 cameras I’ve ever seen, in fact it’s closer to being a smartphone. 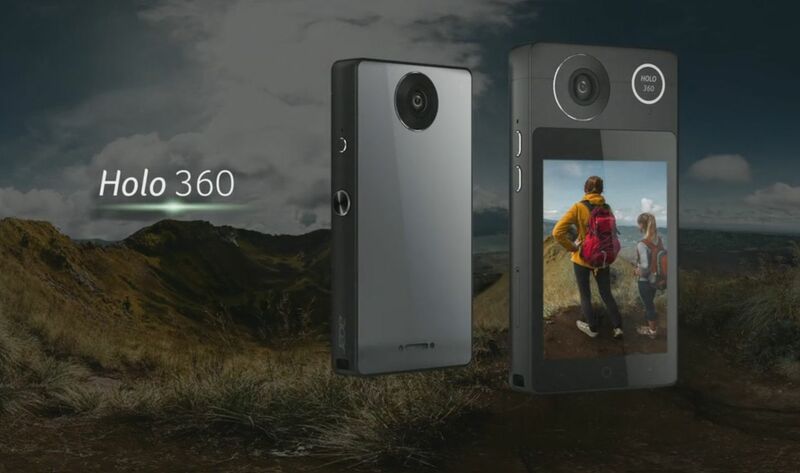 True, it can shoot 360 video and photos, but it has a large touch screen, runs android and can use LTE networks. Sounds like a a phone to me. The Acer Holo is designed to be used on the go, for times when you might not have a Wifi signal available. The Acer Holo 360 will be able to shoot full 36 video in 4K. It’s a pretty specialized product, but if you’re a hiker, climber, or mountaineer, this little device could come in handy. If you want a 360 camera that’s ready to take a bit of a beating, then the 360FLY 4K Pro could be the right choice for you. 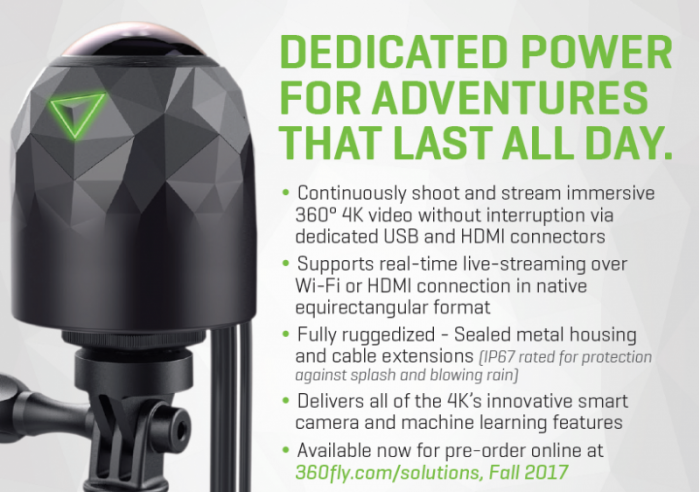 This is the third generation camera from 360FLY and the previous two cameras were known for their durability and water resistance. Unlike most other 360 camera, the 360FLY won’t break if you happen to drop it, nor will it die in you put it in water. Designed an an 360 action cam, the 360FLY is perfect for mounting on your helmet, ski’s, bike or pretty much anything you can attach a GoPro to. This camera will shoot in 4K resolution and is said to have much improved lens technology compared to its predecessor. For more 360 cameras, see my ultimate 360 camera buying guide. 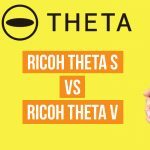 Ricoh Theta V vs Ricoh Theta S: How big is the upgrade? 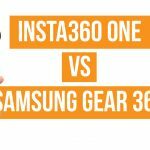 Insta360 ONE vs Samsung Gear 360 - Is it worth an upgrade?